It is day 28 and I have to write about the first time I did something. Just a few weeks ago I baked a whole chicken for the first time. I know you're thinking, "Finally! A post about food!" At least I am! I love posting about good recipes, especially since I came up for the way I prepared the chicken all by myself. First, I removed the giblets. Then I combined EVOO, salt and pepper, and Tajin together. I coated the inside and outside of the chicken with the mixture. 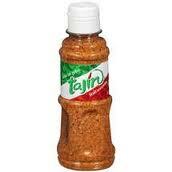 Tajin is a spice that my mom and I recently discovered at our local farmer's market. It's absolutely wonderful! From its red color, you would think that it's spicy, but it's not. It actually has more of a lime flavor and is sort of addicting. The makers of the spice must know this, because it even says on the label, "This is not a candy!" It tastes good on anything with cheese or potatoes. You can sprinkle it on your soup, use it in a marinade for meat or vegetables, or put it on a grilled cheese sandwich. I've even used it to season a woefully under-seasoned fish sandwich from a restaurant one time. After basting the chicken, I cut up a lemon and stuffed the chicken with onions and the lemon slices. (The onion was already cut up. I hate chopping onions, so I usually buy my onion already sliced. Yes, I'm a wimp...) I then put it in the oven for about an hour and a half at 375 degrees. Make sure that the meat thermometer reads 180 degrees when you're done. I am very impatient and I kept checking on the chicken way before I knew it would be done and even started cutting up the chicken and then had to put it back in the oven in pieces to cook some more, because I realized that the inside was still pink. It's a little funny now that I think of it. Here is a picture of the chicken not quite done yet. Still very pretty, I think. Despite my impatience, the chicken turned out very well. It was juicy and the skin was spectacular. I know eating the skin probably isn't the healthiest, but I couldn't help myself. There are some dishes that every grown-up needs to know how to make. In 2009, I made my first pork roast and it was so good I called it pork candy. I felt very grown-up making a pork roast and I felt very grown-up making this chicken. 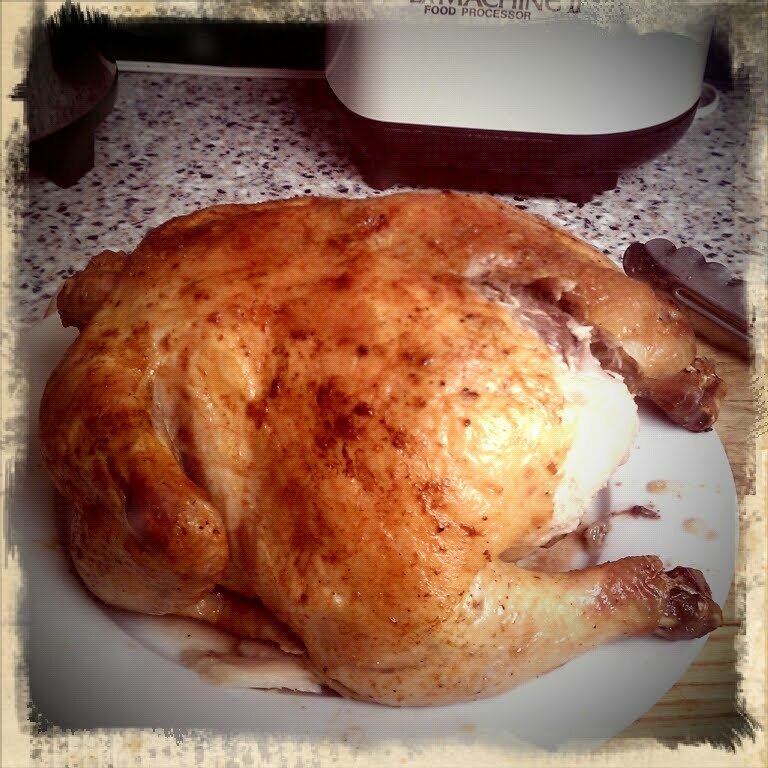 For some reason, baking a chicken always intimidated me, but it really shouldn't have-the only thing that was difficult about it was being patient. If you've never cooked a chicken before, I recommend this website, helpwithcooking.com. The cooked chicken didn't last long in my house and I am looking forward to the next time chicken is on sale!